Buy more and pay less. Save up to 20% with the HP Twinpack. Save money with this 2-pack Original HP 344 Colour Ink Cartridge. For use with the following printers: HP Deskjet 5740/6540/6840, and Photosmart 325/375/428, 8150. Together, the two cartridges will allow you to print up to 1160 A4 pages at 5% coverage. 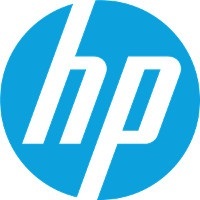 Hewlett-Packard was founded in the difficult times of the Great Depression. The founders were a pair of friends whose name the company still proudly bears. They started their business in an unobtrusive garage near the city of Palo Alto. It is now a national monument. HP’s success lay not in copying existing products, but in the ability and courage to come up with something new. The first commercial triumph was an oscillator that surpassed all competition in quality, yet sold at a quarter of the price. In 1968, HP released their first desktop computer - a desktop calculator. The company currently manufactures products primarily related to computer technology - computers and laptops, printers, scanners, digital cameras, servers, and last but not least, calculators. For shipping to other EU countries visit this page HP C9505EE No. 344. Chcete doručit zboží do Česka? Prohlédněte si HP C9505EE č. 344 barevná. Chcete doručiť tovar na Slovensko? Prezrite si HP C9505EE č. 344. Magyarországra történő kiszállításért tekintse meg ezt a termékoldalt: HP 344 (C9505EE).